The stock hit a 52-week high of Rs 124, up 3%, gaining 22% in the past two weeks after Q3 net profit almost doubled to Rs 120 crore. The company posted 96 per cent year-on-year (YoY) growth in net profit at Rs 120 crore in Q3FY19, on back of healthy performance by distillery and cogeneration segment. It had reported a profit of Rs 61.42 crore in the same quarter last year. Operational revenue however, declined 6 per cent at Rs 941 crore on YoY basis. Ebitda (earnings before interest, taxation, depreciation and ammortisation) margin improved 610 bps to 17.02 per cent in Q3FY19 from 10.92 per cent in Q3FY18. The performance of the sugar segment was muted on account of lower realisations. The distillery and cogeneration performance was encouraging on the back of higher volumes and realisations. The margins were supported by central and state government assistance, to offset the cane cost, aggregating to Rs 90 crore which was adjusted against cost of goods sold (COGS). 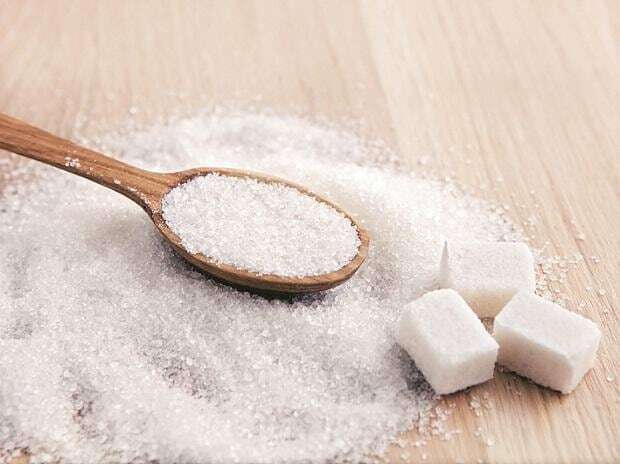 Management expects country's sugar production at around 30.7 million tons in current crushing season 2018-19, down from around 35 million tons in the previous year. Company expects production to decline in the next crushing season which coupled with thrust on exports would eat into the estimated 12mn tons of inventory in Oct 2019. This would provide incremental support to sugar prices even as voices have been raised to up the sugar minimum support price so as to clear off the arrears in UP. “Balrampur Chini Mills Q3 provided a glimpse of the importance of allied products as distillery and co-gen accounted for bulk of the EBIT; company is expanding distillery capacity which would further increase volumes. While the downward pressure has been arrested with the minimum selling price in place, we believe inventory still remains high relative to consumption which would preclude any spurt in sugar realizations, especially after the end of the ongoing crushing season,” analysts at YES Securities said result update. In the past six months, Balrampur Chini Mills has outperformed the market by surging 75 per cent, as compared to a 6 per cent decline in the S&P BSE Sensex. At 09:58 am, the stock was up 3 per cent at Rs 123, against 0.44 per cent rise in the benchmark index. A combined 1.77 million equity shares changed hands on the counter on the BSE and NSE so far.